The eponymous fragrance of Juan Famenias Floris, this signature men's fragrance has a vibrant, engaging, and gregarious character. 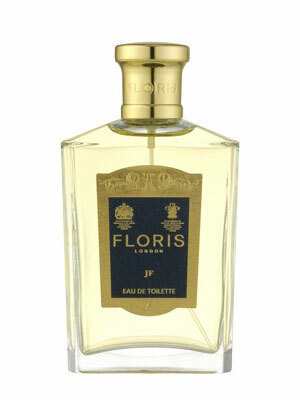 A lively blend of zesty citrus notes invigorates and refreshes, a long lasting fragrance full of Floris flavour. There are 30 reviews of JF. Closer to Truefitt and Hill's Freshman than Davidoff's Cool Water. Almost a fragrance that bridges the two but definitely dries down to a muted version of Freshman. Not an unpleasant fragrance by any stretch. This was introduced several years after Cool Water hit the market and, if dates are true a LONG time after Freshman which dates its origins back to 1805! I would say there is a resemblance to Green Irish Tweed of course but not as near as Freshman. I think it's perfectly nice but I wouldn't spend the £70+ on it as it is doesn't stand alone far enough to warrant the price. Cool Water isn't what it used to be and Green Irish Tweed, tremendous though it is remains exclusively expensive. Out of the four, I'd recommend you save yourself some money and go for Freshman. It offers a bit of them all at a much friendlier price! What a disappointment this one is: I’m not sure if it’s like Green Irish Tweed or Cool Water, but whichever, JF opens with a fresh note that to me smells more synthetic than either GIT or CW or whatever. I was so not expecting such a synthetic accord from a Floris fragrance, I began the test three times: the first two times I left off thinking "Floris can’t possibly be this plastic.." After that, each time I smelled the exact same synthetic so I accepted that it was the Floris’s intention, not my aberration. The opening’s citrus doesn’t help the opening very much – the fresh note overwhelms any naturalness the citrus might offer and the aquatics (synthetics) are just too dominant to my nose. By the time I get to the middle accords, I find the cypress is not mixing well with the other notes, and its green is adding to the problem caused by the fresh notes that occurred before. The amber poking through from the base eventually begins to lessen the impact of the fresh scent, but too little, too late… By the time I get to the base, I do smell some woods and more amber in a very weak accord, and I feel that the base is simply incompetent. My final sniff of JF presents a weak woods / amber accord with the synthetic fresh note still polluting everything. I have a feeling (that I've never been able to prove) that there might be good things going on underneath that determined synthetic note. This is a huge disappointment from Floris. Cons: Annoying synthetic note runs all the way through it." Old Spice + Nouveau Bowery? Initial application, this is an interesting but strange scent. Smells like a mix between a strong, generic men's fragrance and the lime/popsicle/sparkley notes of a fresh/citrus fragrance. And maybe some sort of detergent smell too. I don't think it's a very good combination, and the notes aren't well integrated. It really reminds me of something a man in his 40s/50s might wear who has bad taste. After drying down a bit, the notes begin to mix better, and smell more natural. Still not a big fan. Cons: Individual notes poorly mixed"
I am writing this review based on my experience from JF in the light blue package. It may be a reformulation, but this fragrance is just a BIG and costly disappointment! It starts with a floral citrus accord that is very fine but so weak that I thought that something was wrong with me so I went back and sprayed some more (5 times). To no good! 5 minutes after application JF stays so close to the skin that I can't believe that I have used a fragrance at all. Such poor performance I would never have expected from such a praised fragrance maker. Maybe next time I would need to shower in it (although for the asking price this should would be highly wasteful). 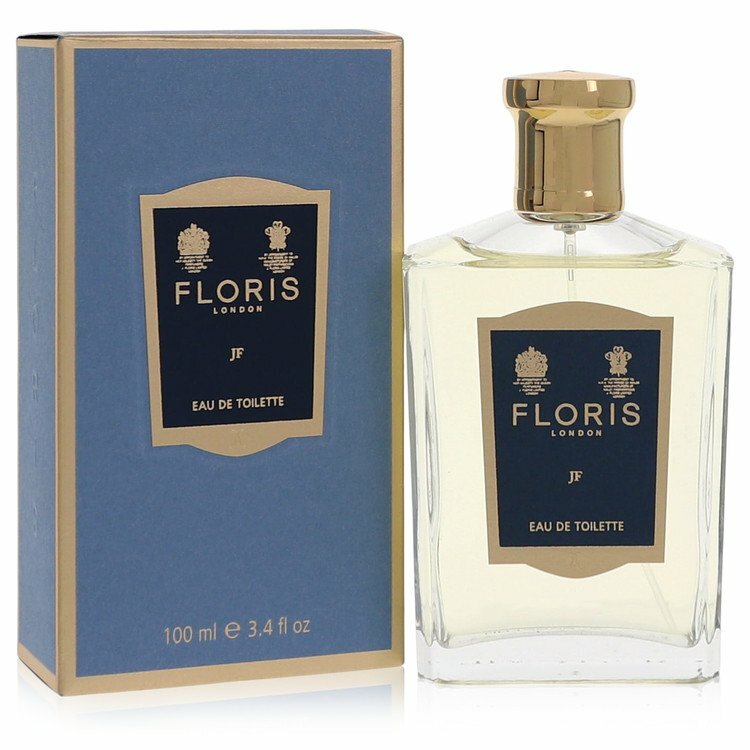 Sorry FLORIS but based on JF and LIMES that I have tried I can honestly say that I am not interested in you any more ... no matter how old and accomplished perfume house you may be. Cons: 5 minutes after application is becomes a skin scent! There are no member images of JF yet. Why not be the first? Common denominator of GIT and Floris JF?